The global market leader for transformative legal software. 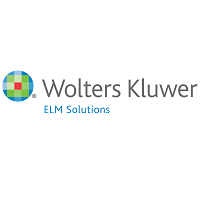 Ranked one of the world’s largest legal service organizations, Wolters Kluwer ELM Solutions leverages a deep understanding of customer needs to transform enterprise legal management into experiences that are connected and collaborative, and get our clients to the future first. We empower customers to succeed in delivering higher organizational value by becoming more productive and efficient through specialized technology solutions, finding answers to complex problems through the use of deep domain-specific analytics and helping organizations cross performance barriers through rich and relevant technologies, services, solutions and learning opportunities. Our core offerings include the the patented ELM technology platform, Passport® and Passport® Pro, SaaS-based TyMetrix® 360˚, and LegalVIEW®, the world’s largest permission-based, contributory data warehouse of legal performance data with over $82B-worth of legal spend data.